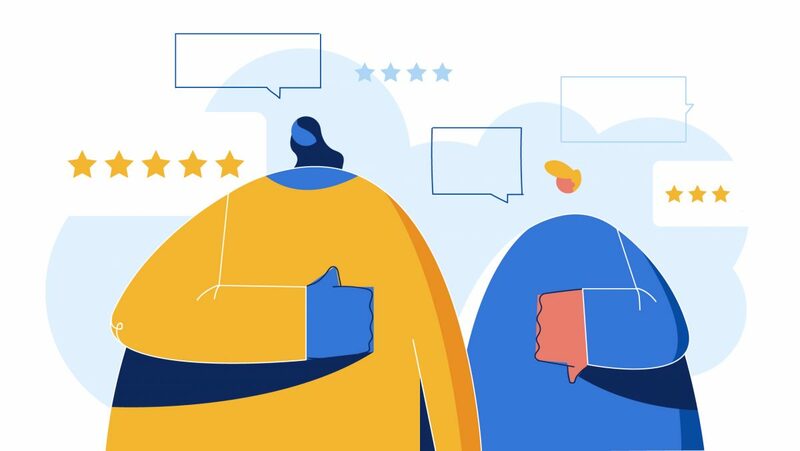 At Nextiva, we also created a blog post out of our customer reviews from GetVoIP, Capterra, Trustpilot, and Fit Small Business. We’re currently on page on SERP and it’s a go-to page for our sales reps too! See the Nextiva reviews blog here. Draw up a coherent customer reviews strategy. Outline where in the buyer journey, you can ask for reviews. Also, prepare a list of review sites you want to build a brand presence in. Make it easy for your customers to leave a review. Display prominent review sections, functions, or links on your website or app. Use an effective review management software to automate the process. Build positive reputation on social media such as Google, Facebook, and LinkedIn. Optimize native review features such as the Facebook review tab and LinkedIn recommendations. Incentivize customers who make comprehensive reviews. Rewards can be tickets, vouchers, coffee, gift cards, and cupcakes. Depending on your industry and market, choose your relevant review websites. Use events as venues to take surveys and request customers to write short reviews. Address negative reviews before they become a big PR problem. Acknowledge their emotions, practice empathy, and work out a solution. A key pioneer of user-generated reviews covering anything offered on Amazon’s marketplace. Owned by Salesforce, this marketplace allows users to review enterprise software solutions. A magazine and nonprofit organization that predates the Internet by several decades. It publishes unbiased product tests and comprehensive, well-presented reviews of any consumer product. A way to gather and display product reviews and ratings on the world’s largest social network. You can use this alongside your other social or Google ads. A service by the planet’s dominant search engine for businesses. It helps you feature on SERP with complete contact information and user ratings. 11) Home AdvisorAn online platform for reviews of home services and products targeting residential customers. An online directory service for small business reviews and ratings. A travel-oriented website for user reviews and recommendations on all things travel and tourism. 15) TrustRadiusA review platform for business software and an online directory for member businesses. Because the site has no ads and vets all reviewers, you can be sure that reviews are reliable. A pre-internet directory based on local landline telephone numbers. Aside from contact and background information on businesses, it also features user reviews. A local search and ratings platform that facilitates crowd-sourced reviews of local services. This could include restaurants, plumbing or electrical services, for example. A search and discovery service focusing on restaurants, cafes, food, and deliveries. The platform features user-generated ratings. There are many things that influence buying behavior but few more powerful real reviews from real customers. Customer reviews represent the latest iteration of word-of-mouth recommendations.